Knitting Like Crazy: Oh, for the love of Cookie A.
Oh, for the love of Cookie A.
I could help it. When Cookie A. said she was coming out with a sock club, I just had to join. I don't even know how it happened. One minute I am reading her website about it, the next thing I am running through the house to grab my wallet. Cookie A. makes you act crazy like that. Anyway, I thought I would share my yarn acquisition from the club this month. 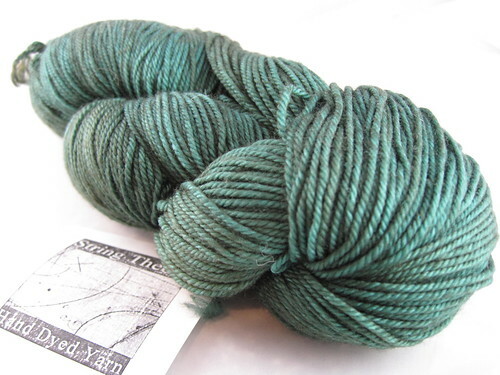 And when I opened it, this beauty was inside: It's Sting Theory Caper Yarn in the exclusive Solas colorway. I don't know about you, but I think it's pretty much the perfect color for a Cookie A. pattern! 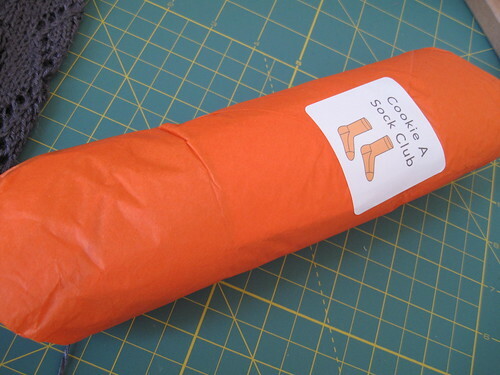 The club included two patterns, and a cookie recipe. This part came in a 25-page pdf document. It was like getting your very own Cookie A. magazine or something. I can't believe how well it was all put together . I had a great time pouring over those pages. And, I think I may need to make me some cookies! 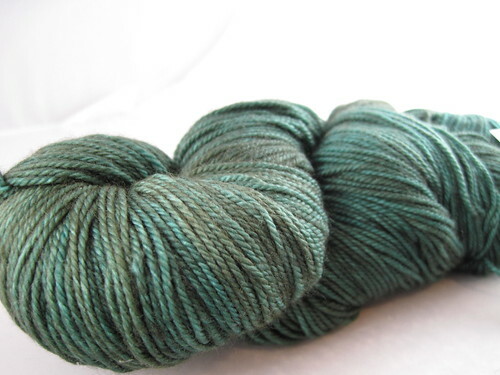 I'm not sure which pattern I am going to knit with this yarn, but I am definitely going to be knitting one of them! Anyone else join the club? How did you feel about the first installment? I am already getting excited for the next shipment in April!